Why Swarna Akarshana Bhairava Yantra? Acquiring and accumulating wealth is a challenging task to you; when you are empowered with the necessary skill sets and the divine blessing, you will assault all the impediments that stand as blockages to you. Swarna Akarshana Bhairava is the God who can bless you with gold and other material wealth. His Yantra emits the divine energy that would bless you with money, gold and other riches. It is the best divine remedy to heal your financial problems in life! The word Swarna means Gold; upon worshipping Swarna Akarshana Bhairava you will be blessed with heaps of gold and money. Gold is personified as Goddess Lakshmi; hence, being blessed with gold symbolizes the entrance of the Goddess in your living space! Swarna Akarshana Bhairava Yantra contains those geometrical designs that invite the Goddess of wealth into your home or office. Your sincere prayers to this Yantra will bring about positive returns to your hard work; you will reap money and luxuries in every walk of your life. 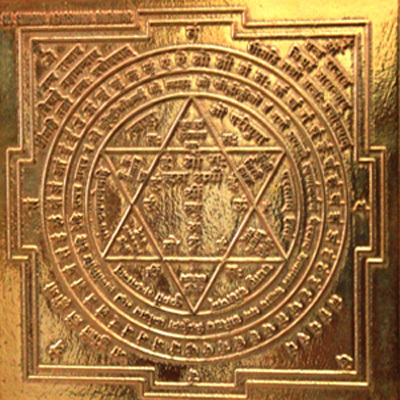 Absorb the energy waves of the Yantra to accrue money and gold at your place forever! How to Use the Swarna Akarshana Bhairava Yantra ?